Since 1988, Ontario Protective Coatings has provided protective coating application services for all industries, from retail to technology. 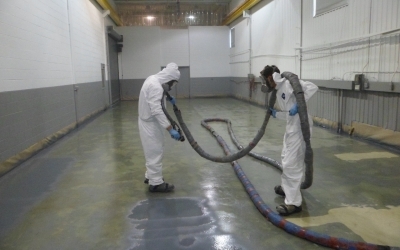 Ontario Protective Coatings is a full-service finishing company that is regarded as one of the best protective coatings applicators by industries across Ontario. We will provide you with the best service guaranteed. Tanks used for potable water, fire suppression and waste water processing are not naturally waterproof. 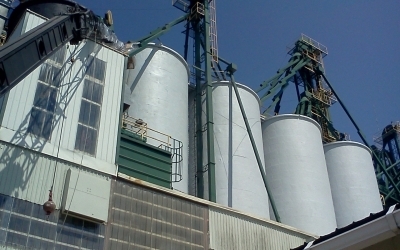 Ontario Protective Coatings provides corrosion resistant protection for storage tanks, silos and more, as well as preparation services. Pond and water feature owners are always looking for an environmental solution to extend the life of their large investments. Other technologies involve plastic and rubber seamed sheets or hardcover coatings that do not move in Canada's freeze and thaw thermal cycles. With concrete floor coatings your floor can be slip, impact, abrasion and chemical resistant, and easy to maintain. Ontario Protective Coatings' licensed applicators provide you with a completely custom solution tailored to your business and industry needs. Polyurethane spray foam roof systems reduce heating & cooling costs while eliminating joints, seams or cracks to let in moisture, heat or cold. By increasing the thickness of polyurethane foam in low areas and re-sloping the roof to the drains, it will eliminate the ponding of water. Since 1988, the team at Ontario Protective Coatings has been providing protective coatings for all types of industries from retail to technology. Because our main priority is your business, we won’t stop until all of your questions have been answered. This attention to detail makes us stand out from our competitors, and we’ve been chosen to assist these major companies with protective coatings.